Modern construction relies more and more upon geospatial surveying, and that’s a concept best grasped by those with a technical background. 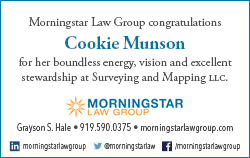 People such as, say, Cookie Fay Munson, who since 2012 has been the savvy general counsel of the Austin, Texas-based and nationally recognized firm, Surveying And Mapping LLC (SAM) that assists a variety of industries through measuring and mapping the landscape where projects are planned. For Munson, that might involve getting her shoes dusty on the vast Texas plains or the sagebrush of New Mexico or anywhere across the United States where SAM might be found working on a project. Such first-hand knowledge better prepares SAM’s only in-house lawyer to be a sounding board, collaborator, number-cruncher and adviser for a technically intense company. SAM initially made its mark assisting in the construction of large-scale transportation projects, but evolved through necessity and foresight into other areas, such as electric transmission, oil and gas pipelines, gas distribution and telecom. The company counts heavily upon Munson to stay even with the curve, if not ahead of it. About the time Munson came aboard, the CEO Samir Hanna, anticipated the need for the company to diversify its services. Petroleum prices were still high, but Hanna’s decades of familiarity with the ups and downs and, oftentimes, cycles of various industries, taught him that while good times don’t last, farsighted companies persevere. “He’s still quite a visionary,” Munson says of the Egyptian-born Hanna, who founded SAM in 1994. He retired from the day-to-day management earlier this year, handing over the president’s role to Chris Solomon, but remaining active as chairman of the board and strategic adviser. “Because of Sam and our management team, we were able to take our lumps of coal easier than other companies did,” she says. Some credit certainly is owed Munson, who Hanna saw as a capable and business-savvy attorney who had distinguished herself in private practice and corporate mergers and acquisitions work, and would fit into the company’s culture. With Munson’s input, Hanna was able to realign SAM’s focus toward such endeavors as offering unmanned aerial vehicle (UAV) services to clients to support their projects, expanding the company’s service lines into operations and maintenance and integrity work, telecommunications, federal markets and fiber optics. Such diversification enabled the company to withstand the crashing oil market, but left a lot of regulatory matters for a legal team of one. But as Munson explains, her previous legal work included 11 years as general counsel of J Bar B Foods and Earl Campbell Meat Products Inc., a central Texas conglomerate of companies founded by Danny Van Janecka and involving Earl Campbell, the Pro Football Hall of Fame running back who’s also noted for making a tasty sausage. While Munson didn’t share Campbell’s expertise in mixing barbeque fixings or smoking and spicing meat, the St. Mary’s University School of Law grad still came to know the “secret sauce,” literally and figuratively. In the legal world, that recipe comes from ability to multitask, aptitude for critical thinking and not being shy about asking questions, Munson clarifies. Now, with a rebounding oil and gas industry and a national emphasis on infrastructure building and rebuilding, SAM seems in an enviable position, likely poised to expand its growing national footprint. 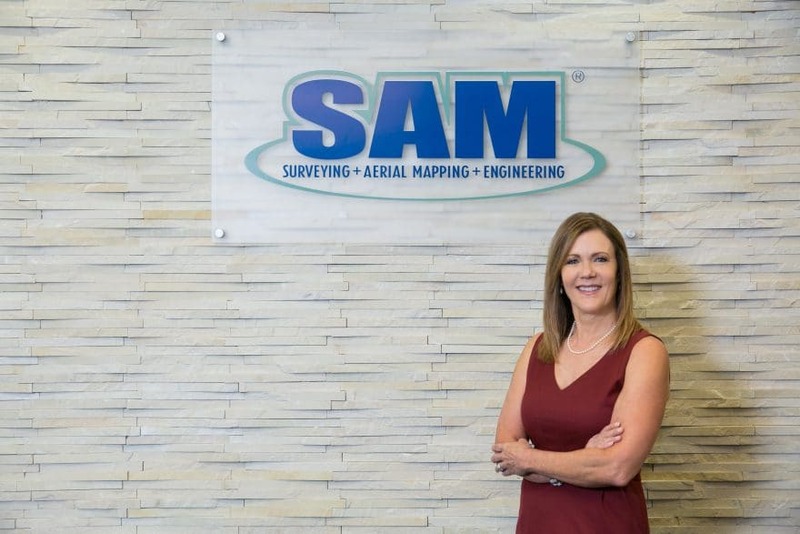 Aside from its surveying and mapping operations, the corporation has a well-established subsidiary, SAM-Construction Services, and last fall acquired an operation that should complement its other services, So-Deep, Inc., headquartered in Manassas, Virginia, and So-Deep|SAM NC, Inc. headquartered in Raleigh, North Carolina. Well-versed in M&As after working with the Austin firm of Selman, Munson and Lerner from 2005 to 2012, Munson handled the details of the transaction, but, with characteristic modesty, downplays her role in bringing on board the company widely credited for a bellwether role in the SUE—subsurface utility engineering—industry. During a long phone interview in late April, Munson still had an eye on the clock. Tickets would soon be going on sale for what seemed a bittersweet occasion—an upcoming show at Austin’s Paramount Theatre by the terminally ill but ever soulful Texas balladeer, Jimmy LaFave, who recently passed away. An aficionado of Austin’s lively music scene, Munson mentions how one of LaFave’s contemporaries, roots rocker Leroy Parnell, has a brother named Rob Roy, who’s afflicted with cerebral palsy—a condition shared by Munson’s daughter—but still plays a mean harmonica. As the conversation turns to young people with challenges, Munson brings up another of her interests—her volunteer work and participation on the board at LifeWorks Austin. 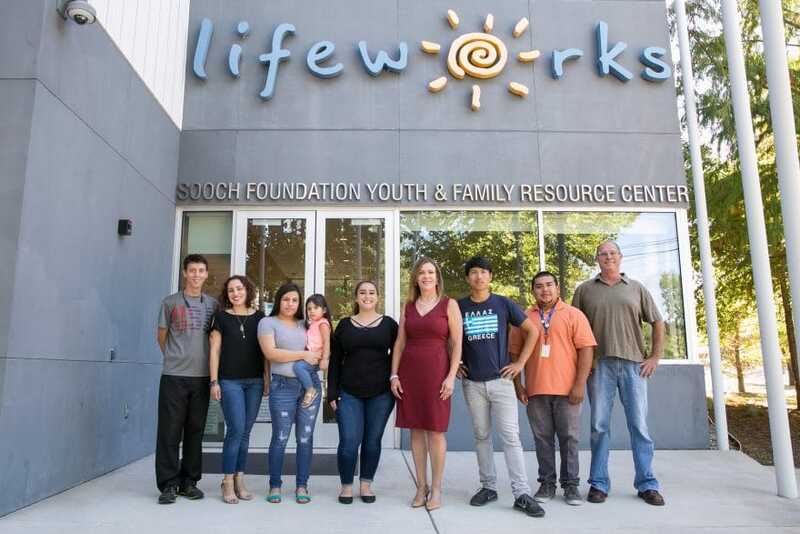 LifeWorks advocates and intervenes in the crises of young people confronted by some of the cruelest challenges—homelessness, sexual abuse, drug addiction and parental irresponsibility. With her employer active in many admirable causes—among them Coats for Kids, Wounded Warrior Project, the Blood Bank of Central Texas—Munson’s social conscience is right at home in the workplace. “There is a lot of dialogue right now on the skyrocketing teenage suicide rate,” she adds. “I see first-hand what a lack of a support system can do to youth. Many teens just do not have the skills and were never taught how to truly cope with life’s ups and downs. Many have no one to turn to, especially those aging out of the foster care system. Just as she does when performing the role of the company’s one-woman legal team during her day job.